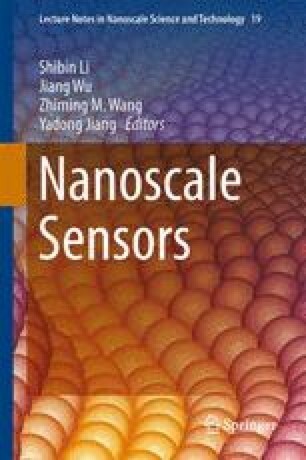 Biosensors based on nanowire field effect transistor (FET) have received much attention in recent years as a way to achieve ultra-sensitive and label-free sensing of molecules of biological interest. The BioFET-SIM computer model permits the analysis and interpretation of experimental sensor signals through its web-based interface www.biofetsim.org. The model also allows for predictions of the effects of changes in the experimental setup on the sensor signal. After an introduction to nanowire-based FET biosensors, this chapter reviews the theoretical basis of BioFET-SIM models describing both single and multiple charges on the analyte. Afterwards the usage of the interface and its relative command line version is briefly shown. Finally, possible applications of the BioFET-SIM model are presented. Among the possible uses of the interface, the effects on the predicted signal of pH, buffer ionic strength, analyte concentration, and analyte relative orientation on nanowire surface are illustrated. Wherever possible, a comparison to experimental data available in literature is given, displaying the potential of BioFET-SIM for interpreting experimental results. This work has been partially funded by the Danish Research Council for Technology and Production Sciences (FTP), the Danish Natural Science Research Council (FNU), and by UNIK Synthetic Biology program, funded by the Danish Ministry for Science, Technology and Innovation. The authors acknowledge fruitful discussions with Lars Iversen, Noémie Loret, Rune S. Frederiksen, and Shivendra Upadhyay.